After June 1981, the IRI was not only at war with Iraq, but also under attack by armed leftist groups (mostly Mojahedin Khalgh) marginalized or suppressed after the revolution. Bunkers were built on sidewalks next to government offices. 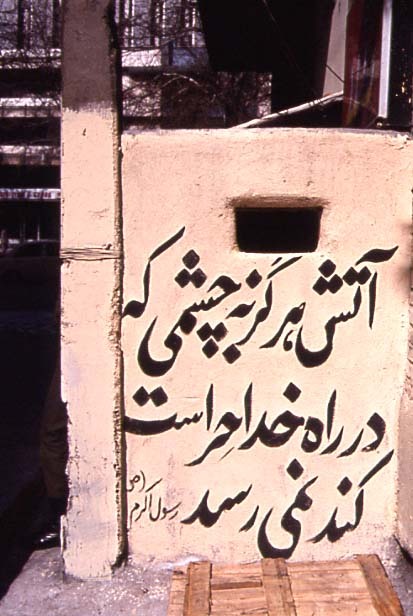 This one, I believe, was near the entrance at the Islamic Republic News Agency (IRNA) at Dorahee Yousefabad, Tehran. The writing is saying from Prophet Mohammad: "Fire does not harm an eye that defends the path of God."